I’m very interested in these “killer app” instances, because just because something can be done doesn’t always mean that it should. This represents something of a philosophical divide between different branches of science. When discussing differences between mathematicians and physicists, Richard Feynman explains that while physicists use math (alot), the equations always have to be “for something.” He mentions the joke that when the physicist asks for the solution to a set of equations in 3 dimensions (what non-scientists would call “the real world”), the mathematician replies “well, first solve them for n dimensions, and then let n = 3.” Mathematicians are usually dismissive of such utilitarian attitudes, which is why they became mathematicians in the first place. In contrast, most physicists (like me!) usually act like shameless magpies, stealing shiny bits of math whenever we need to build out theoretical nests, while leaving most of the rigor behind. But it turns out that the universe is elegant and contains deep symmetries that can only be adequately described by math. So, in a real sense, the Universe is the Killer App of Mathematics. Instead, the more we understand, the deeper our appreciation of the Universe becomes. Like a good mystery novel, investigating the unknown only leads to greater and more interesting layers of complexity. We can easily become inured to wonder, even, or especially, when we think we have everything figured out. But that should only make natural phenomena that much more amazing to us. Everyone learns in elementary school about the solar system and reproduction, but how many of us stop to think that when we read a book outdoors, countless photons have traveled millions of miles from the heart of a thermonuclear furnace we call the sun to bounce off the ink and paper of the page to be detected and interpreted by the sophisticated light-sensing and cognitive systems in our head? Or how about walking down a crowed street, and remembering that every single person you see was recently a single cell programmed to grow into an autonomous, thinking human? 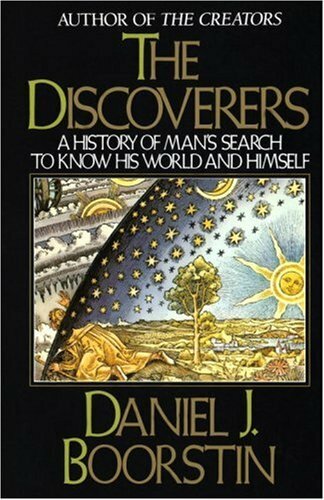 In terms of technological achievements, inside your pocket is probably a tiny computer vastly more powerful than the room-sized contraptions that were state-of-the art only a few decades ago. You can have a conversation in real-time with people on the other side of the world, or play virtually any song or movie you can think of without getting up from your chair. You can find out your exact location, thanks to the equations of special relatively built in, along with the network of man-made GPS satellites orbiting our planet. I like to think that scientists are children who didn’t lose their sense of wonder about exploring the world. 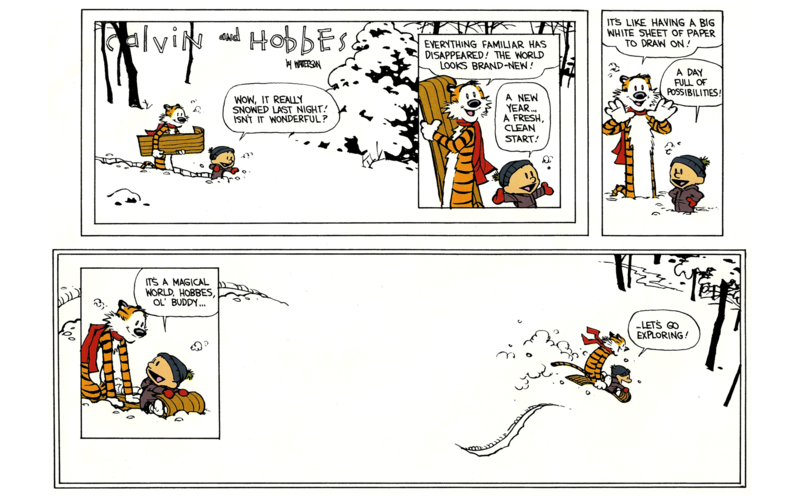 The very last panel of my favorite comic strip of all time, “Calvin and Hobbes,” encapsulates the joy, rather than fear, that should take hold of us when we gaze at the unknown. Author lnemzerPosted on December 4, 2014 December 4, 2014 Leave a comment on 10^2!